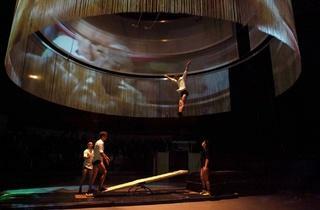 Sequinned dresses, stiletto heels and skin-tight leggings: the Big Top at Parc de la Villette is ready to party. On stage, dancers mess about with plastic headgear, shout over the music and even vomit discreetly while friends hold back their hair. It would be an average Saturday night for many, if it weren’t for the trapeze artists flying overhead to the strains of Boney M. They leap to the rhythm of the revellers below, producing sharp intakes of breath from a stunned audience. 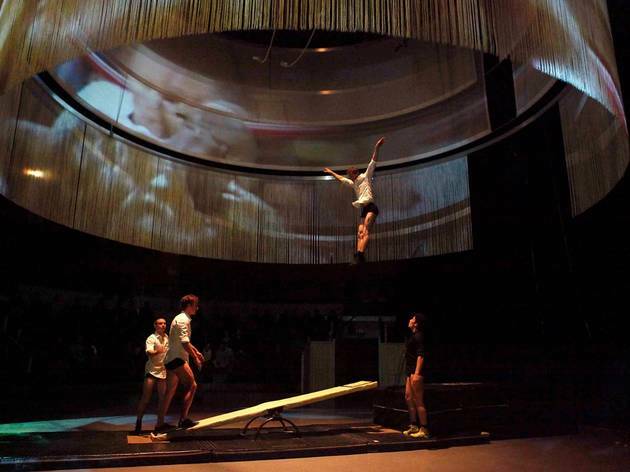 Directed by Laurent Laffargue, this is the latest piece from the Centre National des Arts du Cirque – both dramatic and funny, diverting and poetic, it’s a finely orchestrated triumph from 17 talented circus students.